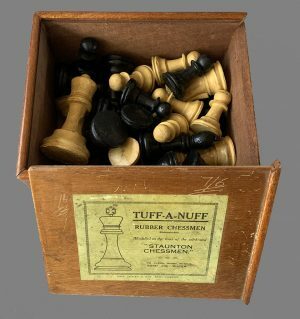 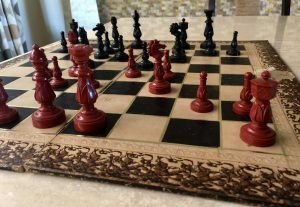 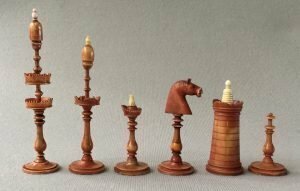 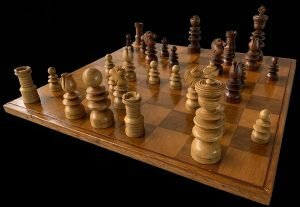 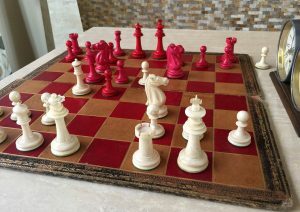 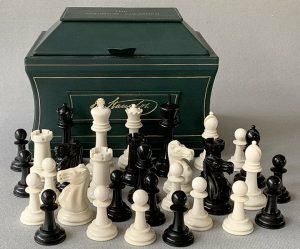 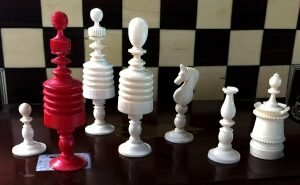 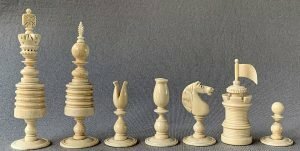 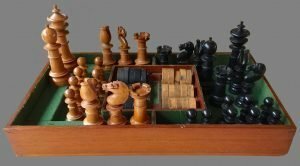 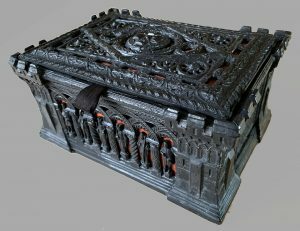 Antique Chess sets, antique chessmen, both Staunton pattern and pre-Staunton, antique chess clocks, antique chess boards and related chess antiques produced prior to WW II can be found in this section of the web site. 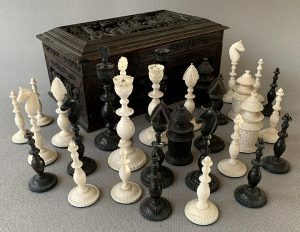 Here you will uncover a cornucopia of antique treasures, many of them rare and highly collectible chess sets. 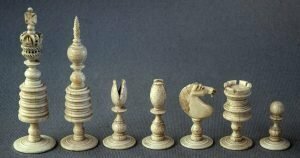 Whether your taste is Staunton, Barleycorn, Saint George, French Regence, Vizagapatam, Cantonese, Burmese, or any of the myriad of English Playing Sets, you will find a large selection here. 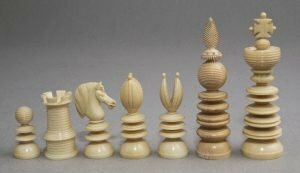 Among them, you will find antique chess sets by Jaques of London, The British Chess Company, F. H. Ayres, William and Thomas Lund, George Merrifield, B & Co., Corbould, John Calvert, Baruch Harold Wood, William T. Pinney, William Drueke, and others. 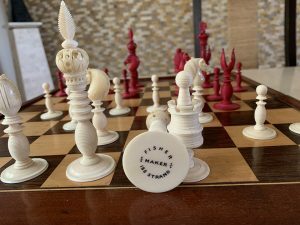 You will also find antique chess clocks by Fattorini, Jaques (Congress Timer), Tanner and Sutton Coldfield, among others. 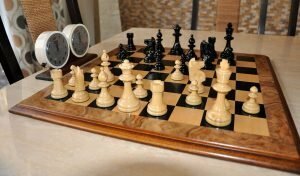 Antique chessboards can also be found here in a wide range of prices and ages, some dating back to the 18th century. 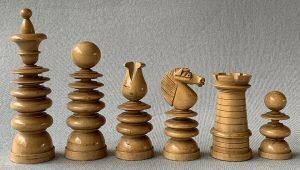 Other games have not been overlooked. 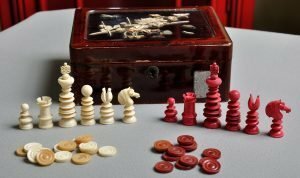 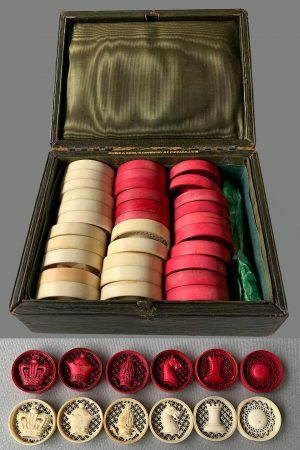 We have a wide selection including antique Xiang qi, Mah Jongh, Draughts (Checkers), Backgammon, Pachisi (Parcheesi) and Carrom, plus others we most certainly have neglected to mention.